After more than two years of collaboration with Oscar-winning designer John Bright, Biltmore has opened its latest exhibition, A Vanderbilt House Party – The Gilded Age. The exhibition runs through May 27, 2019. 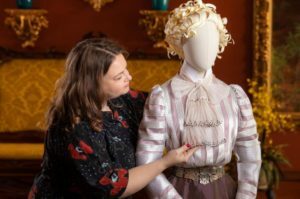 A Vanderbilt House Party features elegant clothing vignettes in Biltmore House, paired with storytelling in a new audio-guided tour that provides an insider’s perspective of party preparations as though today’s guests are present for a 1905 house party. 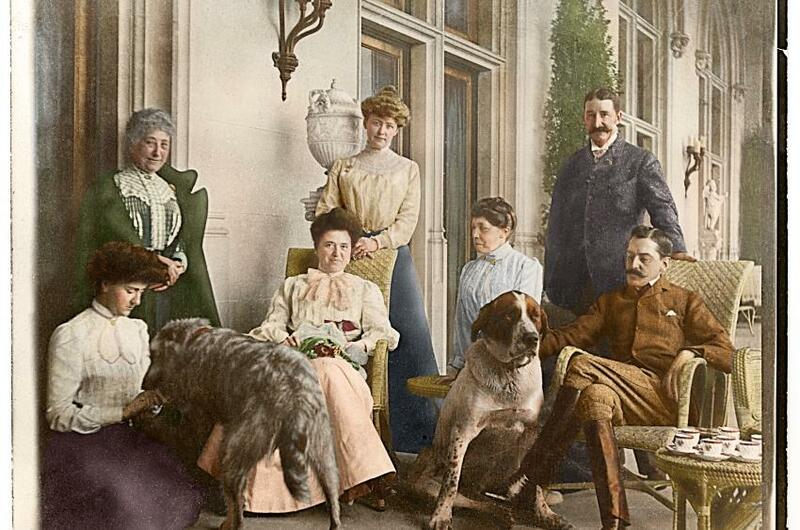 The narration is based on those who lived, visited and worked in Biltmore House. 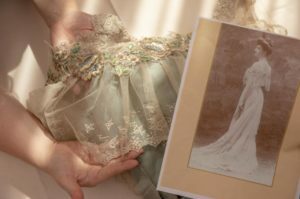 Preparing for this exhibition, Biltmore’s curators turned to the Vanderbilt archives for letters, photographs, and documents – including fashion magazines of the Gilded Age era – to create this new guest experience. John Bright, along with his London-based company Cosprop, collaborated with Biltmore’s curators to meticulously reproduce the Vanderbilt family’s clothing displayed in the exhibition. Bright created the items with inspiration from archival photographs and portraits in Biltmore’s collection, bringing vivid color to scenes previously only seen in century-old black-and-white photos. A Vanderbilt House Party is included in daytime admission; the audio-guided exhibition tour is free with online ticket purchases or can be purchased onsite for an additional fee. To learn more about this new exhibit at Biltmore, as well as how to purchase tickets, visit www.biltmore.com.